Give your Tech Station a lift! 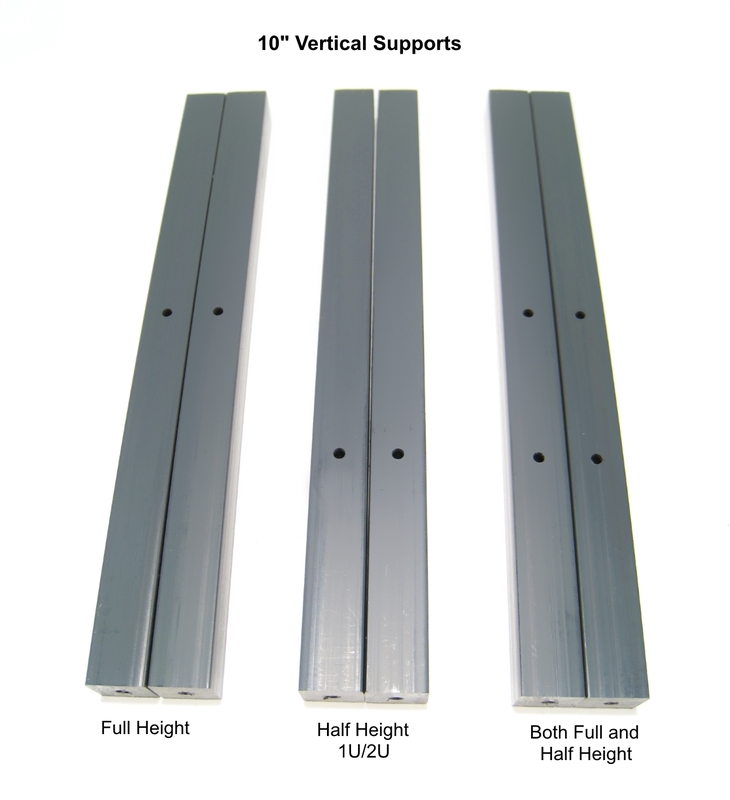 These vertical supports provide a generous 10 inches between the bench surfaces, useful for oversized heatsinks on the Original Tech Station models (motherboard underneath) or just for making more storage space and easier access on any Tech Station model. They come pre-drilled and ready to install using the hardware included with your Tech Station. "Original" has two "rear" supports and two "front" supports which have pilot holes pre-drilled bracket mounts for attaching the PCIe support brace on the Original model Tech Stations. The "Top Deck" option does NOT include these pilot holes. Each leg has a top and bottom center hole for installation. 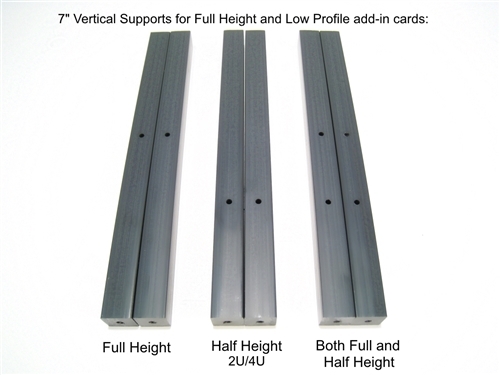 New option for "Original" Tech Stations only: Half height low-profile (2U/4U) or Full height (normal ATX case size) Add-in Card Bracket support! Also included are four screw covers, in case you're upgrading a Tech Station that is already assembled. Compatible with all Tech Stations. Sorry no substitutions to retail kit parts.